Violation: Ravaging lands cultivated with olives and almonds. Location: Al-Khammar -Battir town /Bethlehem governorate. Victims: Families of Raed Abu Hartheyeh, Riad Abu Hartheyeh, Said Abu Hartheyeh. 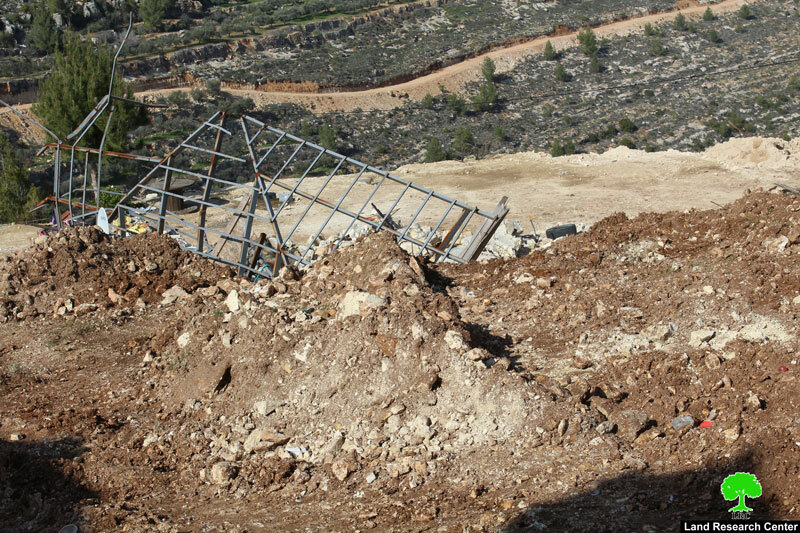 Israeli troops raided Battir town west Bethlehem and ravaged and destroyed 4.5 dunums of agricultural lands as one of the affected farmers Riad Abu Hartheyeh testified. 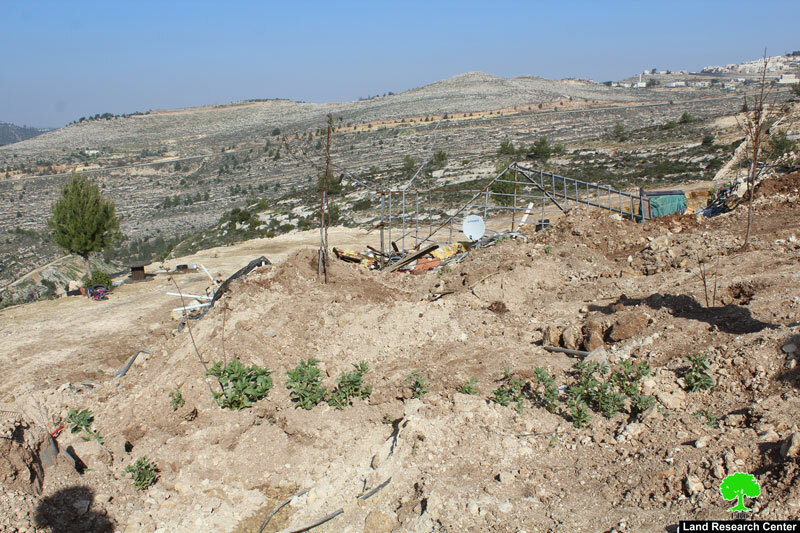 Noteworthy, Abu Hartheyeh family lives in Al-Khammar area and does not have any alternative place to go; the occupation claims that Al-Khammar is under the government custody, but Abu Hartheyeh family have legal documents prove they own the land. “ The occupation troops assaulted us and injured my foot and prohibited us from leaving the house, and attacked Said Abu Hartheyeh who is now in the hospital for medical treatment, they terrorized our children but we will never give up on our home”. 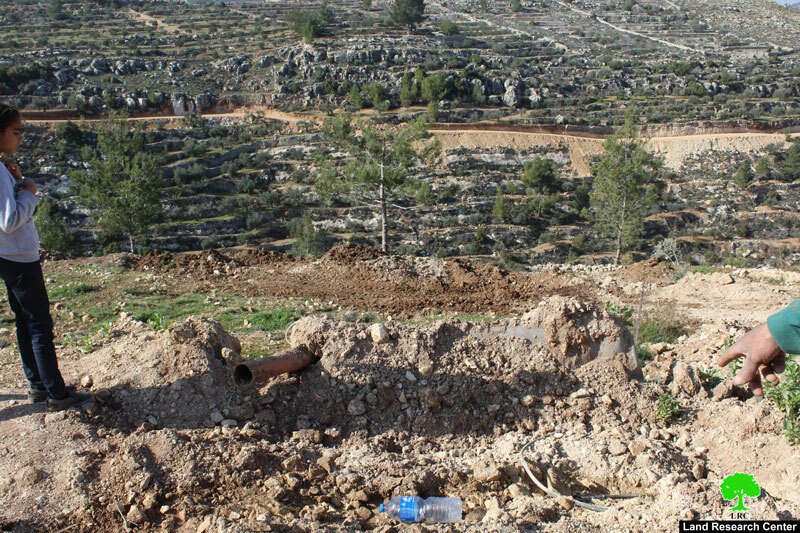 Source: Field observation – Israeli violations monitoring system- LRC , January 2019. 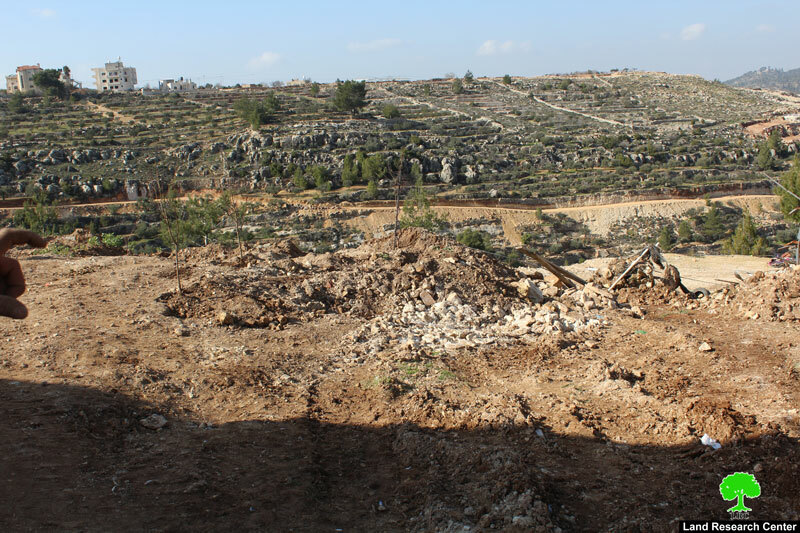 Noteworthy, Al-Khammar area is targeted by the Israeli occupation, they attempt to take over it in order to implement their scheme “The greater Jerusalem” by annexing Gosh Etzion settlements to Jerusalem, which will require the confiscation of wide areas of Palestinian lands. The village is located 7km to the western side of Bethlehem. It is edged by the occupied lands of 1948 from the north and west, al-Walaja village from the northeast, and Husan village from the south. 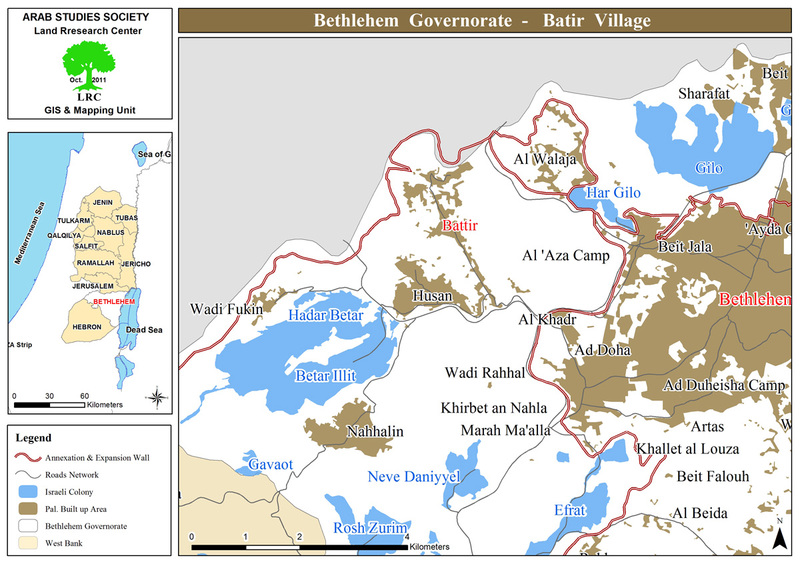 Battir has a total population of 5117 people until 2014 and has a total land area of 6681 dunum, 832 of which are built-up area.